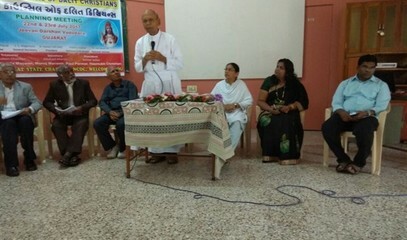 Mgr Fernandes spoke at the annual meeting of the National Council of Dalit Christians. The constitutional order of 1950 excludes Dalit Christians and Muslims from employment and education quotas. An India-wide protest has been set for 7 December. 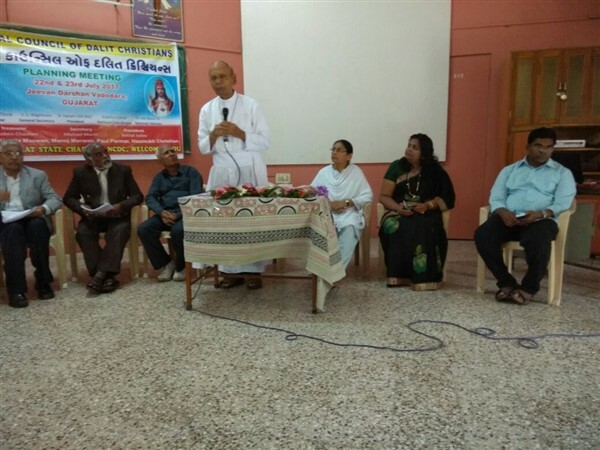 Mumbai (AsiaNews) – Dalit Christians "must continue to speak out for the marginalised,” said Mgr Stanislaus Fernandes, apostolic administrator of Baroda, Gujarat. The prelate spoke at the annual meeting of the National Council of Dalit Christians (NCDC), an organisation that includes all Christian groups fighting for Dalit rights in India. The gathering was held on 22-23 July at the Jeevan Darhshan pastoral centre in Vadodara. In a national context "in which atrocities occur against Dalits and [members of] minorities are lynched, we must show them our solidarity,” the bishop said. “Although the ruling party in the central government is not in favour of granting Dalit Christians scheduled status, we cannot give up. We have to support our constitutional right to be included in the scheduled classes list." 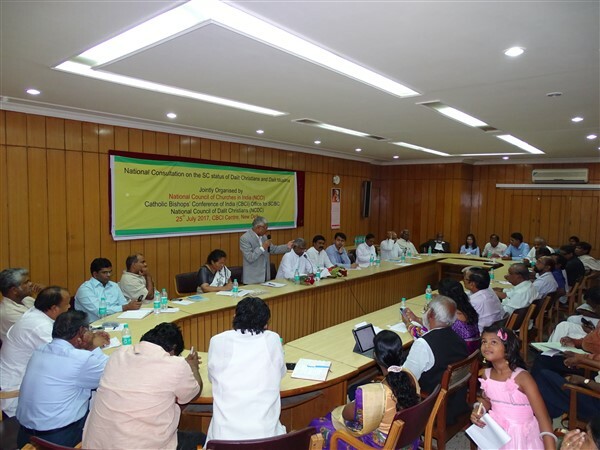 Representatives of the National Council of Churches in India (NCCI), the Catholic Bishops' Conference of India (CBCI) and the NCDC addressed the same issue on 25 July in New Delhi. At the end, Christian leaders decided to hold a day of protest day on 7 December. All Christians are invited to participate in meetings, marches and demonstrations. Although India’s constitution outlawed the caste system, Dalits (once known as untouchables) continue to be victims of discrimination. The marginalisation especially affects Dalit Christians and Muslims. Unlike Dalit Hindus, Buddhists and Sikhs, the former are excluded from the quota system in schools and jobs. For Fr Devasagaya Raj, secretary of the CBCI Office for Scheduled and Backward Classes, this discrimination goes back to "the infamous Paragraph 3 of the Constitutional Order of 1950, signed by the president." This order states that " no person who professes a religion different from the Hindu [. . .] religion shall be deemed to be a member of a Scheduled Caste. ]” Subsequently, the order was modified to include Sikhs (in 1956) and Buddhists (in 1990). Finally, the secretary said that on 10 August, the Catholic Church in India will mark a "Black Day" for Dalits to draw attention to the issue of marginalised Christians.